Located on the esplanade of Hotoie, Parc Zoologique serves the threefold purpose of being a park, zoo as well as a botanical garden. Formed in 1952 with an area 6.5 hectares the zoo is a home to all the endangered species of plants & animals such as gibbon, lemur, marmoset, tamarin and many more. 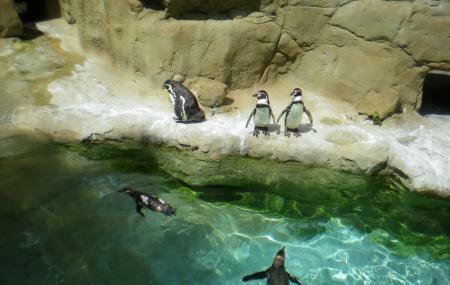 It is also a member of EAZA (European Association of Zoo & Aquarium). Volunteers are available at every corner to guide you through the place. Surrounded by water on all sides, with tall trees and pure air it’s a fun place for children as well as for the elderly. There are feeding sessions which are orgainized by the volunteers in timely intervals. Children from 5 to 15 years of Age, EUR 4. Unemployes, RSA beneficiary, Disabled People EUR 4.20. Under 5 years of age, FREE. How popular is Parc Zoologique? People normally club together Cimetiere Paysager De La Madeleine and Parc Samara while planning their visit to Parc Zoologique. Fun small zoo, a really nice and relaxed atmosphere. The animals look well served in their own space. Also a fun thing to have vending machines giving out great food, this for the people who forgot their own food. Only bad thing is probably the site of Amiens has 0 English coverage although it has it's own tab. Small but perfectly formed. My boys enjoyed it. Nice place, enjoyed a lot. Nice day out for the family. Children enjoyed it.